A random dictionary search for the meaning of ‘misogyny’ finds: ‘Dislike of, contempt for, or ingrained prejudice against women’. Most reasonable people would concur with this definition, although some dictionaries go further, contentiously including attitudes such as ‘mistrust’ and even extending it to include ‘belief that men are much better than women’. If and when such a mentality results in psychotic criminality, courts already can deem it to be an aggravating factor when sentencing. Nonetheless, Labour MP Stella Creasy advocates yet another category of hate crime, even though it is difficult to see how much of the ‘street harassment’ that she has vowed to eradicate can be ascribed even to the broadest dictionary definition of ‘misogyny’. Unfortunately, contemporary Britain contains a plethora of Humpty Dumptys for whom a word means whatever they choose it to mean, one example being Nottingham Police. As David Kurten noted on TCW yesterday, since 2016 Nottinghamshire Plod already has treated ‘misogyny’ as hate crime, interpreting it thus: ‘Incidents against women that are motivated by an attitude of a man towards a woman and includes behaviour targeted towards a women by men simply because they are a woman’. As defined by dictionaries, ‘misogyny’ need not necessarily be the preserve of men; indeed, it is not unusual for small-c conservative women to be accused by Leftist critics of displaying their ‘internalised misogyny’. However, readers will have noted that the explication by Nottinghamshire Police absolves any female miscreants, including those offending from keyboards, and deems misogyny to be exclusively a male violation and hate crime. Alas, proponents of hate crime are undeterred by ridicule, and Stella Creasy urges the government to copy Nottinghamshire and adopt ‘misogyny’ as a new and exciting category. For the Crown Prosecution Service (CPS), hate crime currently occurs when the ‘perpetrator is motivated by hostility or demonstrates hostility towards the victim’s disability, race, religion, sexual orientation or transgender identity’. At the moment, hate crime is established by the (self-identifying) victim ticking one or more of these ‘protected characteristics’; logically, therefore, ‘misogyny’ can be added only if being a woman – regardless of background, hue or sexual orientation – also becomes a ‘protected characteristic’. At which point, one wonders what century we currently are living in; yet this is, in effect, already the case in Nottinghamshire due to the local police’s idiosyncratic definition of misogynistic crime. And something very similar will become UK-wide law if Commissar Creasy and her supporters – who include various alleged Conservatives such as Maria Miller and Nicky Morgan – prevail. This won the praise of, among others, Martha Jephcott, who is described as a ‘misogyny hate crime trainer’ (for the avoidance of doubt, apparently this does not mean coaching how to become a misogynist). Ms Jephcott, who advised Nottinghamshire Police when it unilaterally made misogyny an offence, was quoted in the London Evening Standard: ‘With the review I hope all protected groups, including women, will now have better covert (sic) through hate crime legislation,’ thereby confirming that the aim is indeed for the entire female population to have specific legal protection. The law review therefore represents success for the ongoing campaign by Stella Creasy, who beforehand had told ITV News: ‘This isn’t about flirting, this isn’t about banter . . . this is about that small group of men in our society who think that women are their playthings and are hostile towards them accordingly’. The notion that half of all females and a large majority of young women routinely are, according to Creasy in her piece to camera, ‘not going out where they want to go, wearing clothes they don’t want to wear and frightened on our streets’, simply is not credible. Of course no right thinking person defends aggressive, lewd or boorish behaviour which causes women genuinely to be fearful. 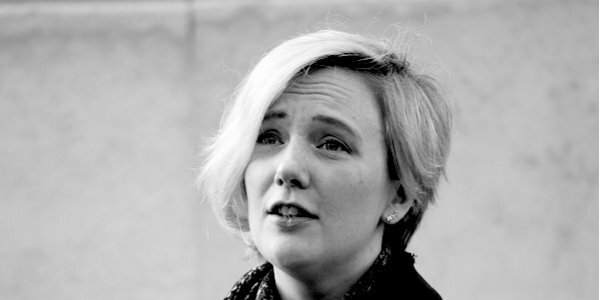 But when the bar for alleged misogyny is set so low as to produce the sort of spurious statistics quoted by Stella Creasy, then the definition has become meaningless; furthermore, making risible claims of endemic harassment risks being unable to adequately distinguish those much rarer instances of serious intimidation or threat which deserve severe punishment. It is blindingly obvious that the male misbehaviour which Creasy claims afflicts ‘half of all women and two-thirds of young women’, and which she is determined to eradicate, cannot be attributed only to ‘a small group of men’ – not unless there is a minority of blokes who are incredibly industrious and spend their entire lives scouring the streets of Britain for women to pester as their ‘playthings’. No, given that Stella Creasy perceives there to be an epidemic of male wrongdoing, what she seeks is, by definition, for there to be a mass proscription placed upon men’s behaviour. Although she insists ‘this isn’t about flirting, this isn’t about banter’, that will only be true if the recipient is accepting of it; otherwise, under what Creasy proposes, any unsolicited male attention or unwelcome crude joke is liable to be categorised as harassment and hate crime. As she told ITV News: ‘I don’t want to live in a country where women and men can’t equally go about their business because of who they are.’ Which is a laudable sentiment, and one which should mean the sexes being treated equally under the law. Instead, Commissar Creasy’s proposed remedies are for females to become a protected group and that the speech and conduct of men be constrained and controlled – to be governed, no doubt, by privileged Left-wing women, such as Stella Creasy. Next articleWhere are the Two Ronnies now hate crime’s ripe for ridicule?